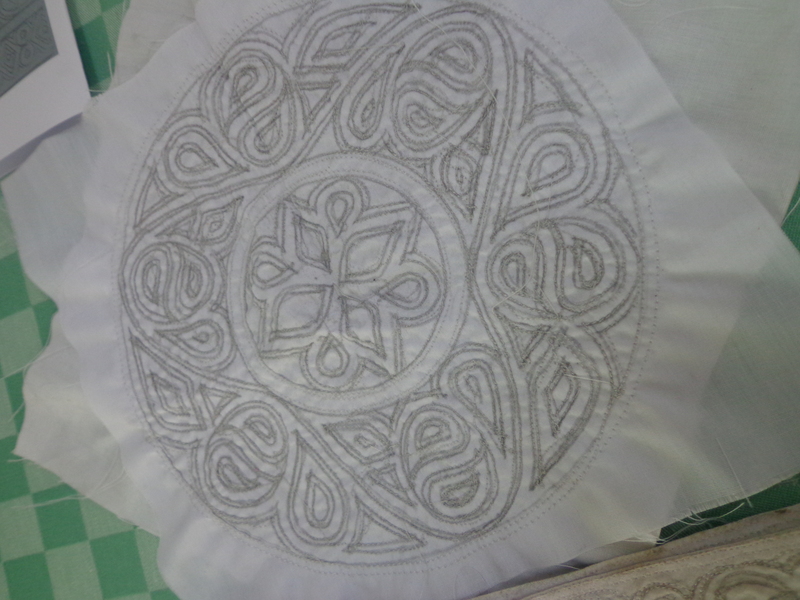 January at KEG we had workshop on Catherine de Medici Embroidery. This is a counted thread technique and is usually worked on an Italian fabric known as Bratton which today is a 100% loosely woven evenweave linen about 6 threads per centimetre (15 threads per inch), either cream coloured or unbleached. A thick cream-coloured or white twisted 100% cotton thread called “Cotone Povero” [poor cotton] is used for the stitching (done inDouble Running Stitch executed in a particular way), edging and tassels. 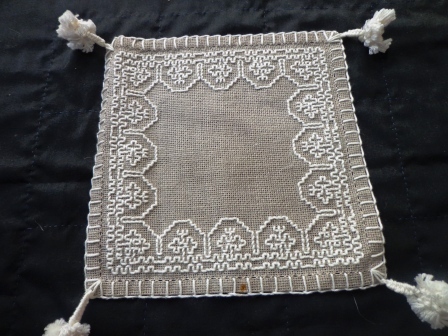 February , Workshop on Cross Stitch Biscornu . 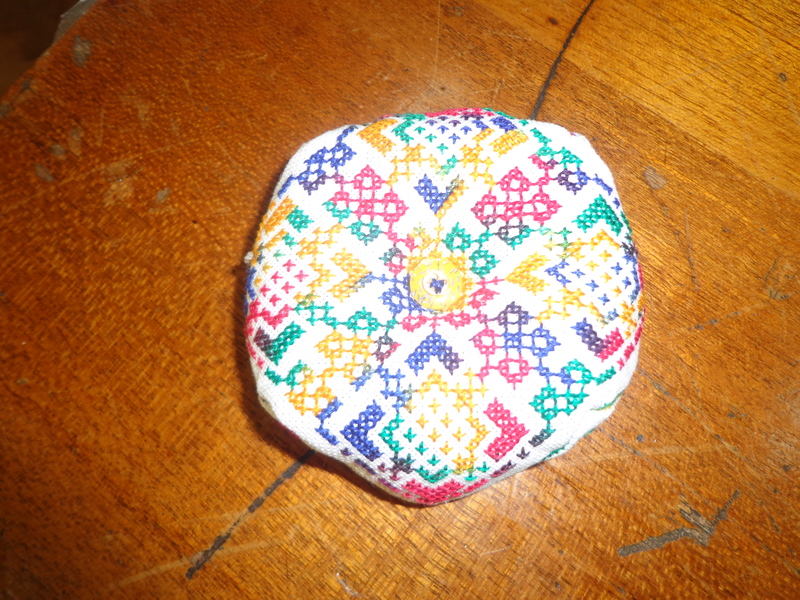 A biscornu is an interesting little eight-sided pincushion and many stitcher’s use them as ornaments, door hangers, or other decorations. Biscornu is made from two embroidered squares sewn together on point; the corner of one square meets the middle of the other as the two pieces are whip-stitched together and stuffed, creating the a quirky, skewed pillow and are finished off with a button in the center of the design top and bottom. March, workshop on Lamu Caps Embroidery. Donna Pido demonstrated the embroidery technique used to embroider Lamu caps (Lamu is the Kenya’s oldest living town). 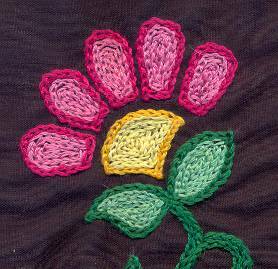 Donna’s tips were to use a bodkin (or porcupine quill) to make a hole, then do buttonhole stitch into the hole to make an eyelet. Every eyelet should have at least 20 stitches, but we could aim for 24 by following a clock face and doing 2 stitches for every ‘hour’ to keep it even. April, KEG along with KEG hosted an exhibition, “The Magical art of Stitches” which displayed the beautiful needlework by our members. During the exhibition workshops on quilting and embroidery techniques like Assisi card, plastic canvas fridge magnet notebook and pen holder and a Dorset feather stitch tissue packet cover were held. 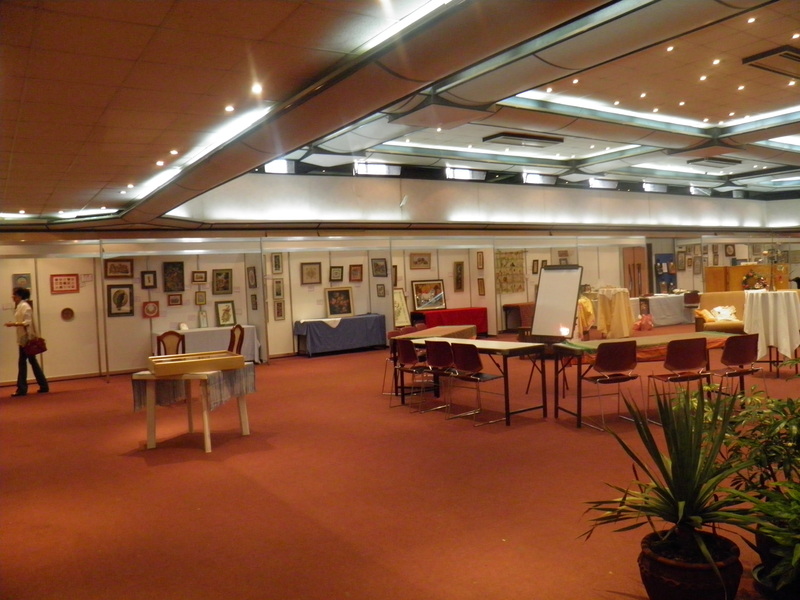 Read more on KEG exhibition…. May, KEG had its AGM this month followed by a workshop Herringbone Stitch. 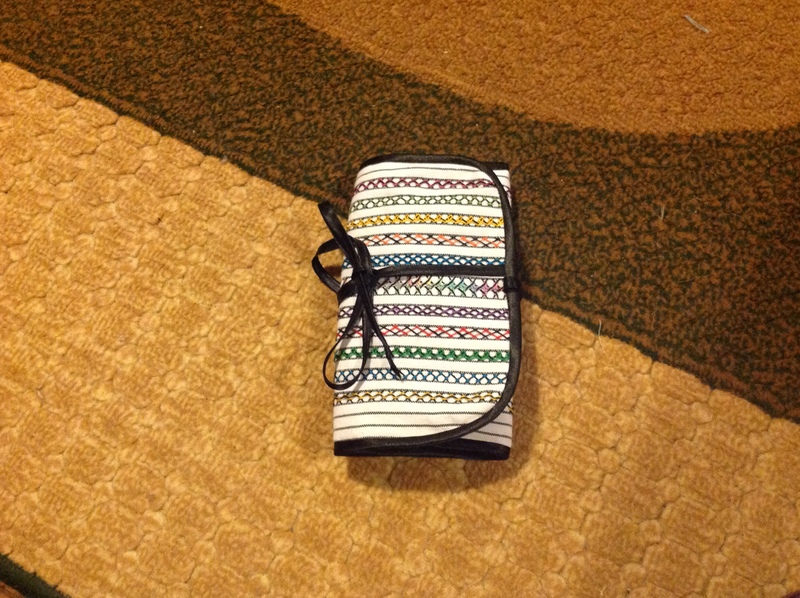 The variety of herringbone stitches are done on a Kikoy fabric that made a beautiful jewellery roll. June, workshop,on Zalakdoki stitch technique. This is an embroidery from the Kashmir province. 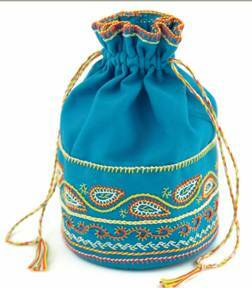 This is basically a chain stitch and carries an international market. 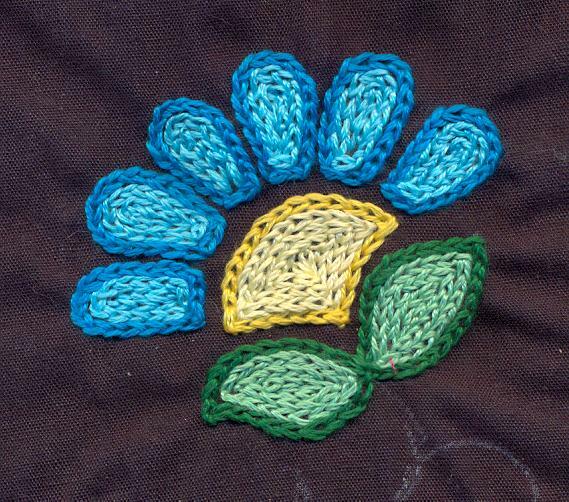 At KEG we made some lovely yellow, blue, pink colored embroidered flowers on small bags to carry our kits. July, KEG workshop on Dorset feather stitchery, the tissue packet holder we displayed at the exhibition. 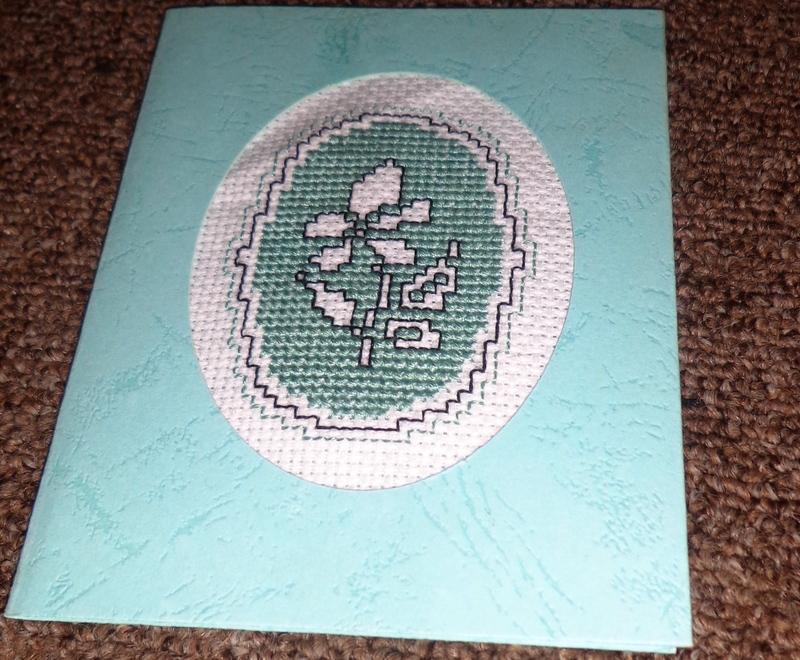 This uses chain stitch, button hole stitch and fly stitch. 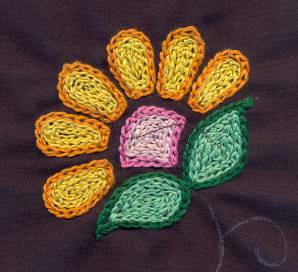 In coming months KEG is going to have lots more creative workshops where we will learn variety of stitches which will be made into lovely projects.